Brush Meadows Farm. Specializing in horse boarding and riding instruction. A gentleman's farm in eastern Connecticut specializing in horse boarding, training and English riding instruction for children and adults alike. Brush Meadows has extensive riding areas on the property as well as many trail rides accesible within minutes. Situated on over 40 acres of private pastures and woods, Brush Meadows has much to offer for serious riders as well as those just looking to get away for a quiet trail ride. US Pony Club instructor and examiner Sherri Colby brings a wealth of experience in all areas of both English riding and instruction as well as horse training. Courses are tailored for individual students and their riding level. Our philosophy is that first and foremost, riding horses should be fun. Sherri Colby has a wealth of experience working with pleasure and competitive riders. She works with a wide variety of horse breeds and riding disciplines, and riders with a wide range of skills and abilities. Sherri is a C-3 Pony Club graduate, and has been a Pony Club instructor and examiner for over a decade. 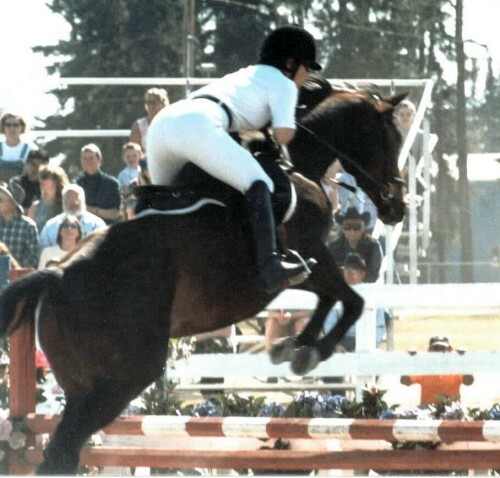 As a teen she trained her own horses to Hawaii State Championships in Hunt Seat Equitation, English Performance Horse, Eventing, and Western Performance Horse. More recently Sherri has trained her own horses to multiple show and high point championships in Dressage and Hunters. Sherri’s students have earned multiple show and high point championships and have passed Pony Club ratings through the upper levels. Through her instruction, Sherri's students have become better partners with their horses so that both horse and rider are safer, happier, and more successful. Pleasure riders and beginners have developed a greater sense of security and are able to participate in a wider variety of activities. Her philosophy of teaching and training is to create a more effective rider, a more responsive horse, and greater harmony between them while progressing at the appropriate pace. Private, semi-private and small group lessons available on your horse or our nice ponies and horses. Will travel to your location. We offer reasonable rates and flexible scheduling. Beginners and green horses welcome. I have 3 horses, all with different personalities and riding abilities. 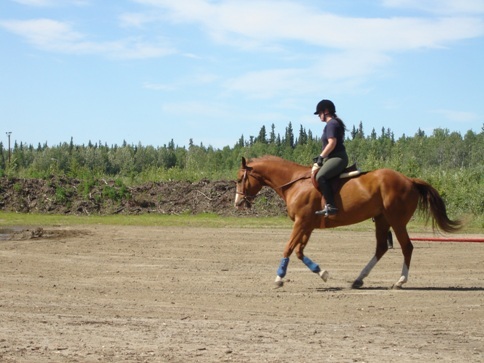 Sherri has always tailored her lesson plan to the horse and rider, obtaining the best in both for each lesson. Sherri has the ability to teach to all...whether it be Pony Club kids or adults. 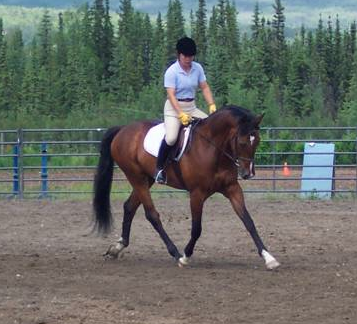 She helps riders to understand that dressage is a process and it is ongoing...no matter the day or the horse you ride. Sherri has also traveled throughout the country helping folks look at riding prospects. The photo below is the gelding she helped me locate and evaluate before purchase. Pepper is now an integral part of my life and I'm proud to say Sherri helped me find him. Melissa Jones-Owen. 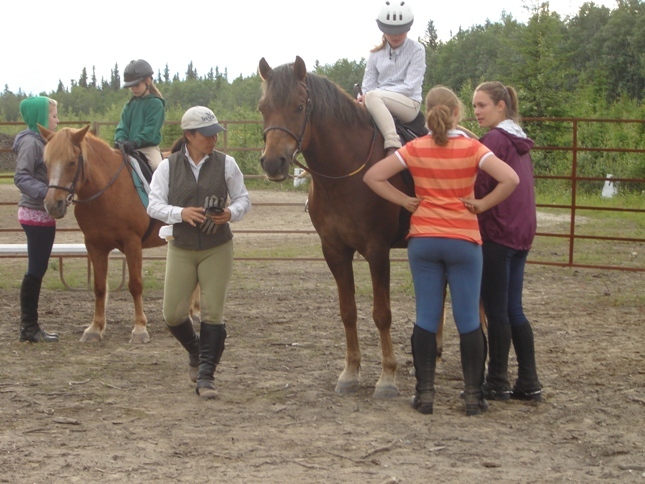 Private and small group lessons offered by Sherri Colby, US Pony Club instructor and examiner. Sherri has many years of experience working with a variety of horses and riders, from beginner to advanced, and both competitive and pleasure riders. Sherri believes in a progressive approach to teaching and training, with an emphasis on correct rider position and effective riding. Sherri will help you communicate better with your horse though the development of balance, timing, and proper use of the aids. Personalized training is offered in many disciplines and specific to the needs of each horse and rider. Sherri provides fun and productive lessons for everyone, from the serious rider to "gentle" instruction for timid riders. Accepting trailer-ins or Sherri will travel to your location. For those riders without horses, we have a few ponies and horses available for those taking weekly lessons. These ponies and horses are schooled in English and are calm and kind. Learn about and practice horse care in addition to developing your riding skills. Become a well-rounded, knowledgeable horse person by following Sherri through an education process modeled on the United States Pony Club (www.ponyclub.org Home school students welcome to meet your PE and other requirements. Sherri has worked with a number of different horse breeds and personalities. She can help your horse become more manageable and fun to ride. Training is progressive and specific to each horse’s physical ability and personality. 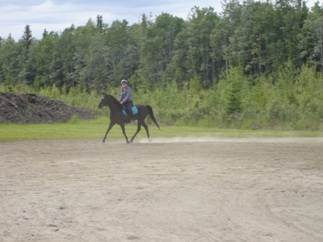 Sherri enjoys starting young horses and working with green horses, whether they are youngsters or adults. Let Sherri help your horse to thrive. Then she can help you develop the confidence and good riding to bring that good training forward. Read Sherri’s bio to learn more about her show and training background. Give her a call or send an email to discuss training options and costs.